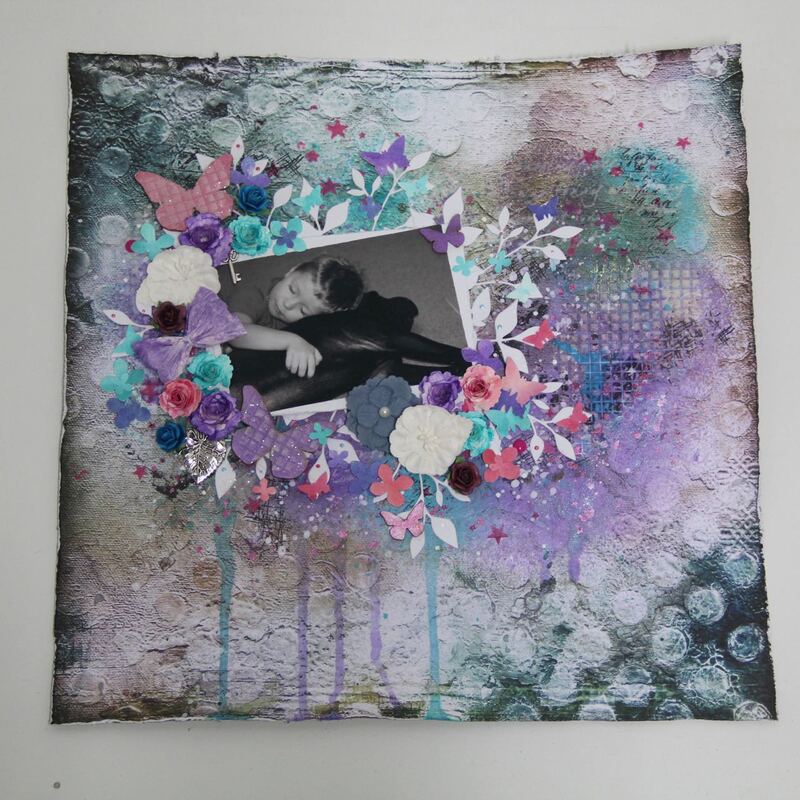 I used 7 dots paper and sprays – Witchs Potion Purple, Time Travel Teal, Salt Water Taffy, Autumn Maple Crimson, I used texture paste from Finnabair and chipboard from I KROPKA. 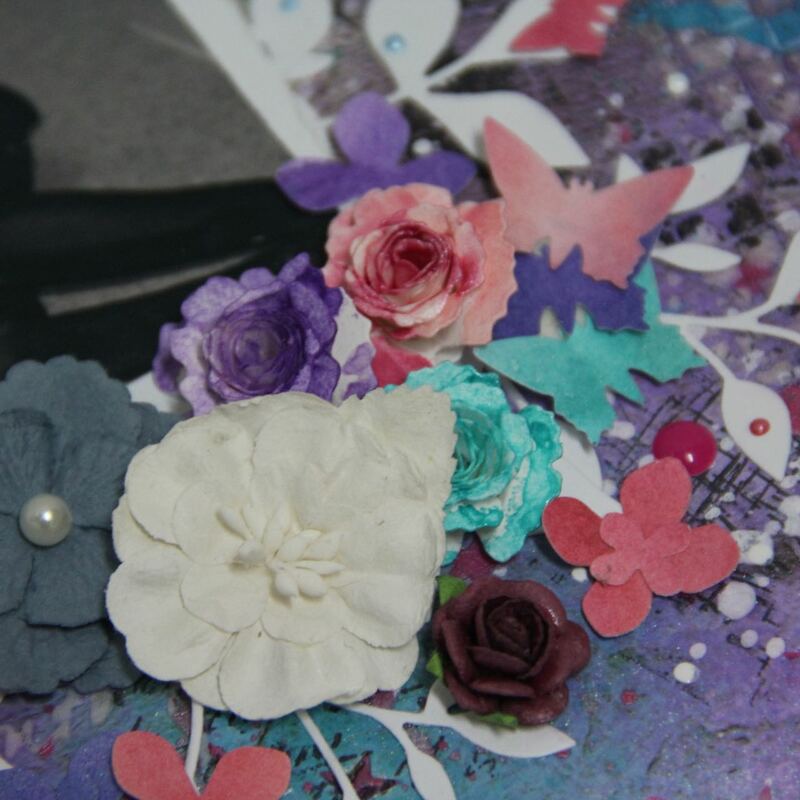 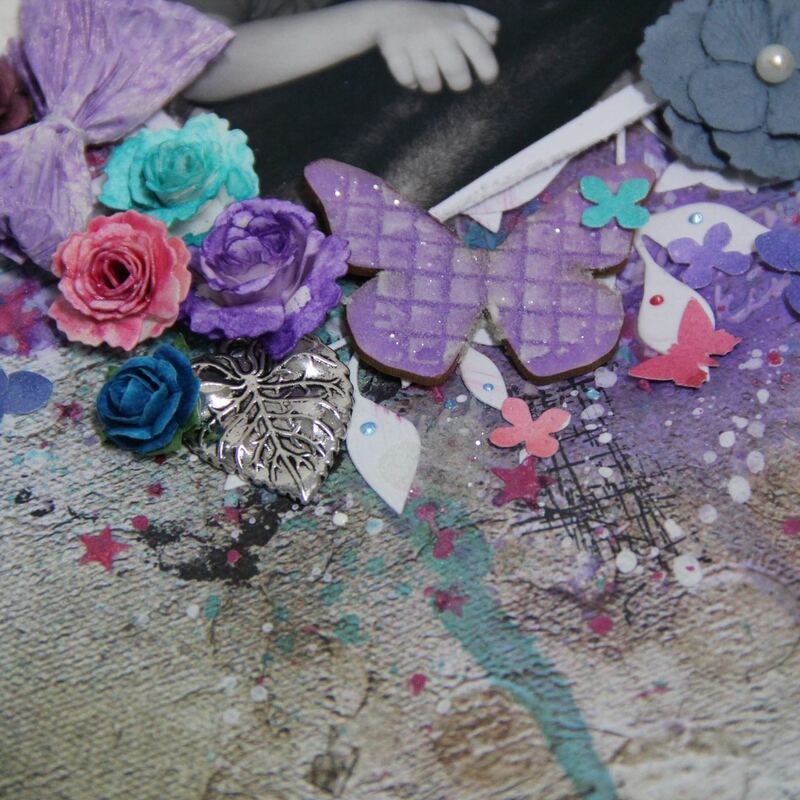 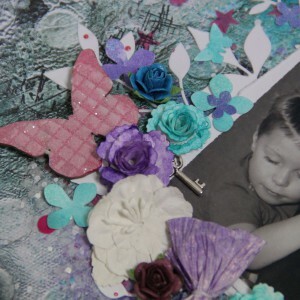 I used many hand made rolled roses and butterflies are made also with basic punch and sprays. 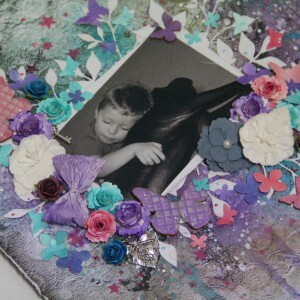 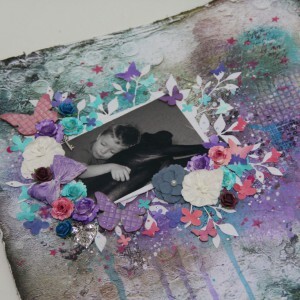 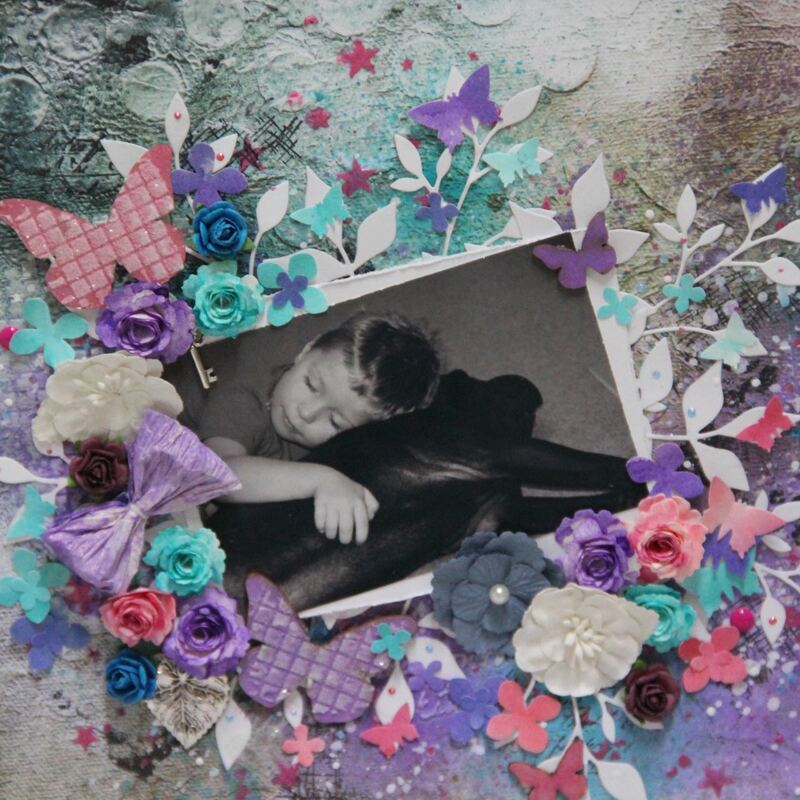 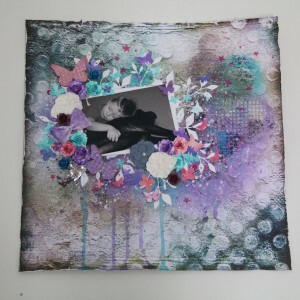 This entry was posted in Challenge and tagged Challenge, I kropka, layout, mixed media. 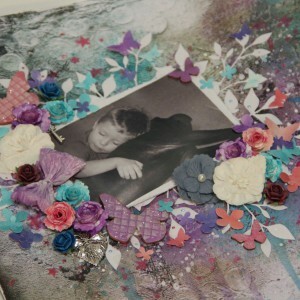 This is very cool, thanks for joining the challenge at Lindy’s.